Your Android smartphone can quickly double as a handy flashlight, allowing you to shine some light whenever and wherever you need it. This feature gives you the power of a flashlight right in the palm of your hand, making it easier to see in dim lighting, helping guide you at night, and even letting you search for lost items in the dark. Activating the flashlight is a straightforward task on Android phones. 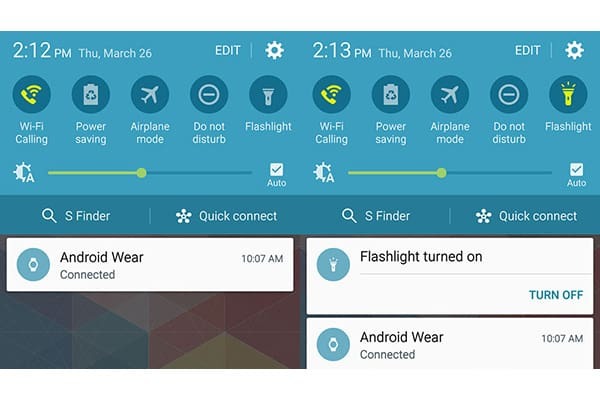 The following step-by-step guide will show you how to turn flashlight on Android smartphones. 1. Press the power button to wake up the display on your Android smartphone. 2. Swipe down from the top of the display screen with your finger to pull down the Quick Settings Panel. 3. Swipe left or down again until the Flashlight icon is visible. The icon is generally labeled Flashlight and may have an image of a flashlight on it. 4. Tap the Flashlight icon. Tap a second time to turn the flashlight off when desired. 1. Click the App Launcher or App icon on your phone’s home screen. 2. Swipe left to scroll through the applications installed on your phone. Continue to swipe until the desired flashlight icon is located. 3. Tap the flashlight icon to launch the application. 4. Click the On button to turn the flashlight on. Click Off to turn the flashlight off when desired. With these instructions, you can almost effortlessly use the flashlight on your Android device. If you have issues locating the flashlight icon, check your phone manufacturer’s website for further information about how the icon or application should look on your phone. Feel free to ask any questions and share your experiences in the comments below.